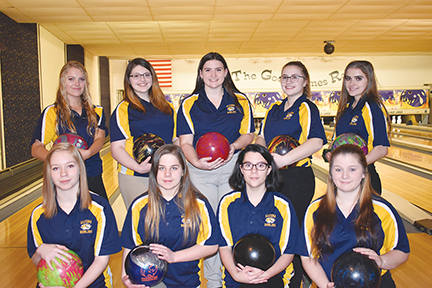 The Alcona girls bowling team includes, from left to right: back: Raegen Eller, Brielle Keyser, Isabella Bates, McKayla Lafave and Emily Dubuque; front: Samantha Nordstrom, Victoria Skuse, manager Morgan Munsey and Emily Hoffman. The Alcona girls bowling team traveled to Vista Lanes in Oscoda on Saturday to compete against Bay City All Saints. The Tigers fell short on both baker games, losing 273-240. In the team event, the Tigers swept All Saints 1,467-1,331. Alcona won the match 16-14. High game for the Tigers was Raegan Eller with a 250, setting a personal best as well as current season conference high and Caroline Czyzewski led All Saints with a 246. In the second match, the Tigers faced the Whittemore-Prescott Cardnals. The Tigers swept both bakers, winning 254-212. For the team event, the Tigers swept both games 1,513-1,023. 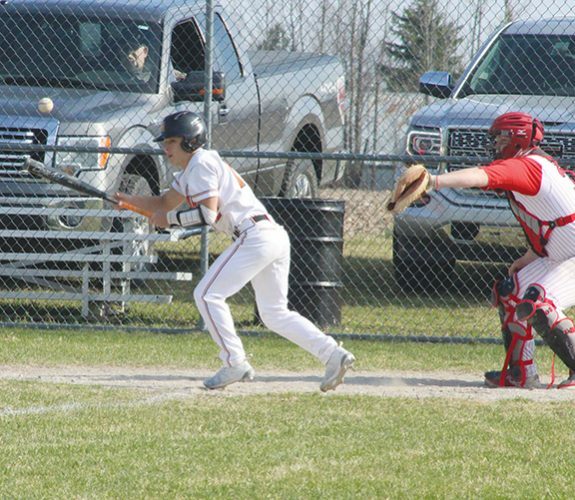 Alcona ultimately defeated Whittemore 29 1/2 to 1/2. High game for the Tigers was Raegan Eller with a 246 and Ashley Lauria led the Cardnals with a 129. Eller also set a personal and conference current season high series with a two-game total of 471. 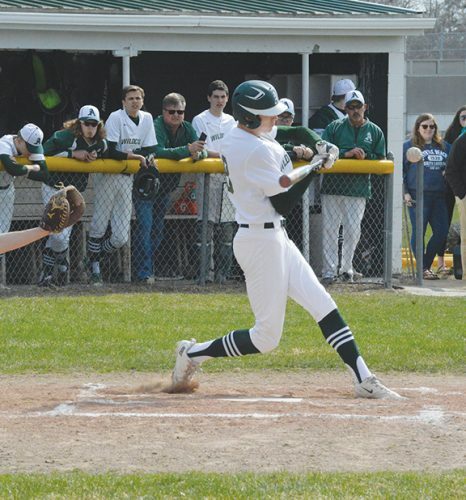 The Tigers will be hosting the Huron Shores Bowling Conference Singles Tournament on Saturday, beginning at 11 a.m. at Village Lanes in Harrisville.